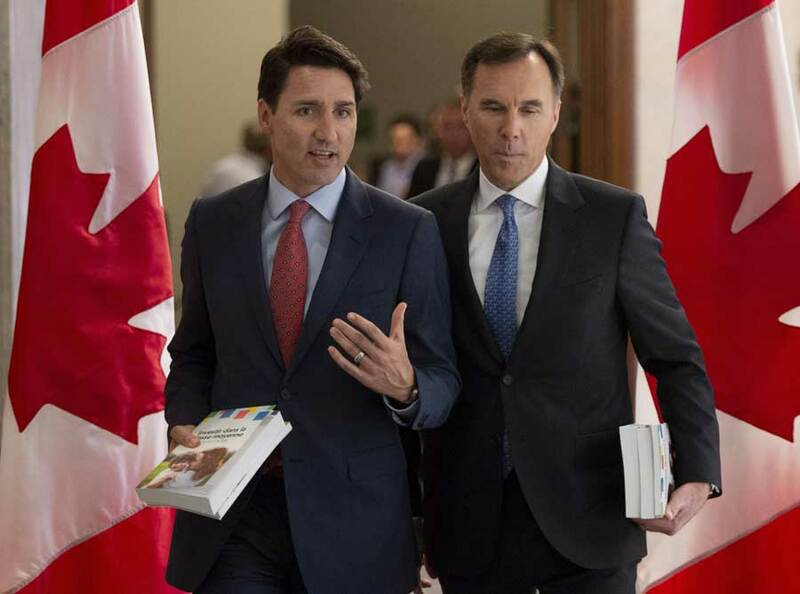 Finance Minister Bill Morneau unveiled his fourth budget in Ottawa today, an election-year measure that not only plays up the positive effect Liberal policy has had on the economy — especially the historically low unemployment numbers — but, perhaps more importantly, primes voters who will head to the polls this year. One thing this budget — which announces $23 billion in new spending — does not do is eliminate the deficit, which the Liberals promised they would do away with by their fourth budget. The fact that they missed this target by $23 billion sends a clear signal that they’re comfortable with running deficits going forward. $50 billion for a National Dementia Strategy. There was plenty of pre-budget drama today. Before Morneau had finished lacing up his new budget-day shoes, the Conservatives threatened to delay the release of the document in protest to the Liberal’s refusal to recall Jody Wilson-Raybould to testify at the House Justice Committee looking into the SNC-Lavalin scandal. 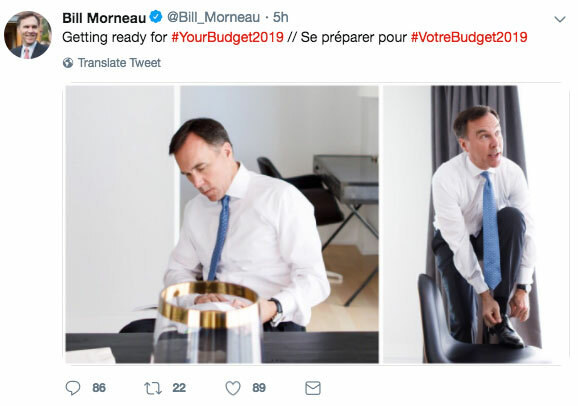 At a press conference earlier in the day, Conservative Leader Andrew Scheer raised the possibility that his party planned to disrupt Morneau’s attempt to table the budget by slowing down a vote (on an unrelated matter) in the House of Commons. “Justin Trudeau shut down the justice committee investigation into his corruption scandal. If he expects us to quietly accept a cover-up, he will get a rude awakening this afternoon,” Scheer said. With the Liberals still reeling from the Lav-Scam fallout — the most recent CBC poll has the Conservatives leading at 35.3 per cent with the Liberals at 32.7 per cent — Prime Minister Justin Trudeau will obviously be hoping to shift focus to the economy and the tempting goodies offered in Morneau’s budget gift basket to win back the many Canadians who have grown disgruntled with the Liberal party.